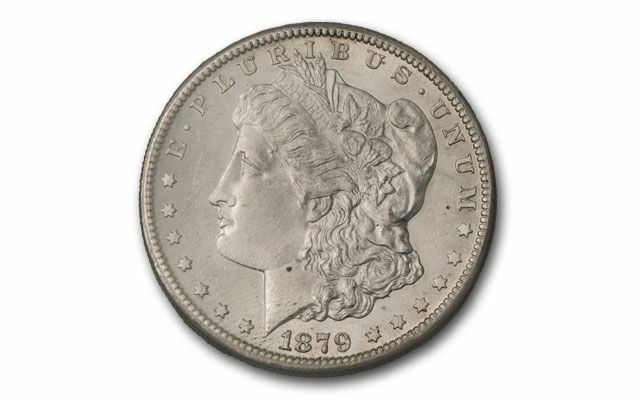 Morgan Silver Dollars are the number one collected vintage coin in the United States today. Their large size and hefty silver content give these coins their great appeal. 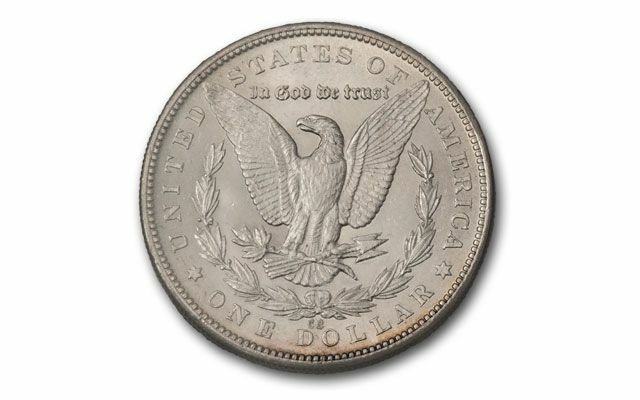 The series ran from 1878 to 1921, giving collectors a great opportunity to add coins to build a large collection over time. 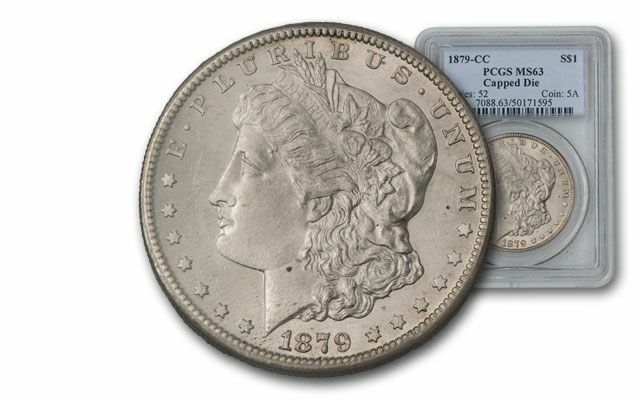 The 1879 Carson City Mint Morgan is one of the most elusive dates in the Morgan Dollar series. 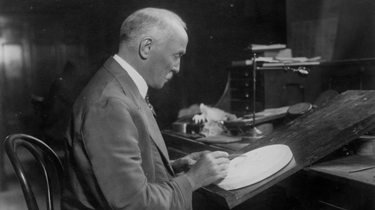 There were only 756,000 coins minted at Carson City that year, and unlike Silver Dollars from other mints, most of the coins from Carson City were released immediately into circulation, where they wore down over the decades, leaving only a limited number of the mintage to survive in uncirculated grades. 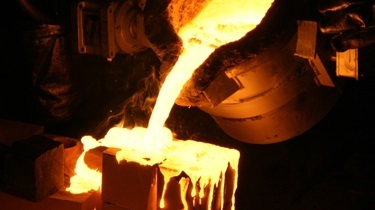 Finding a gem can be challenging for a few reasons. First, the low total mintage makes them tough to find right from the get-go. In addition, the Carson City Morgan's were loaded into canvas bags with coal shovels and they were transported by stage coach and train over rough terrain, causing a large number to end up with significant bag marks, lowering their grades. 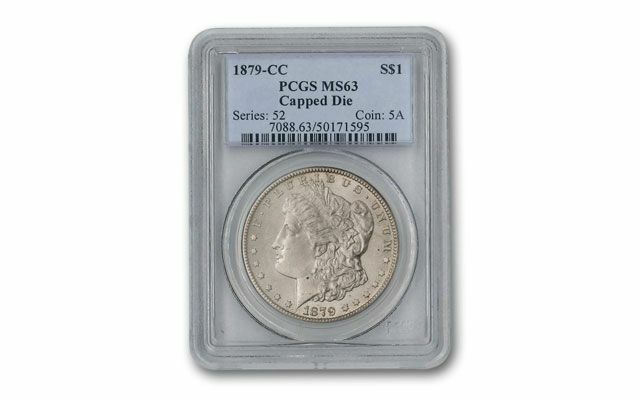 This example grades Mint State-63 (MS63) by Professional Coin Grading Service (PCGS). 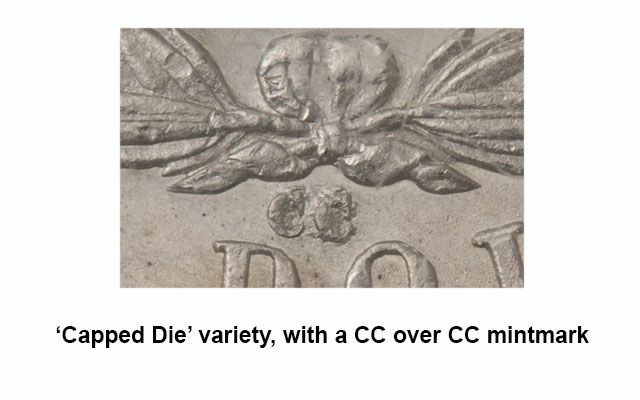 It's also the "Capped Die" variety, with a CC over CC mintmark, making it even harder to find. Don't pass this coin by - we don't know when we'll be able to offer another.